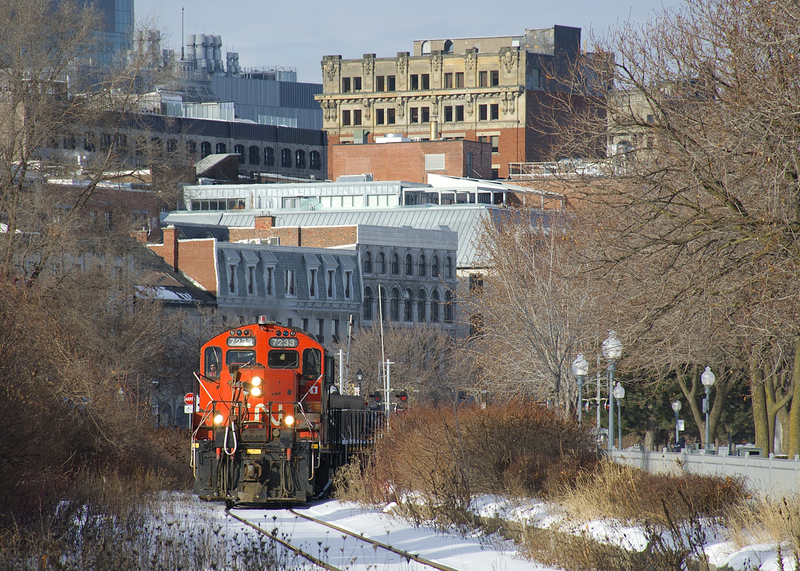 Railpictures.ca - Michael Berry Photo: After bringing cars to the Port of Montreal, CN 7233 & CN 227 are heading back light to Pointe St-Charles Yard. | Railpictures.ca – Canadian Railway Photography – photographie ferroviaire Canadienne. Caption: After bringing cars to the Port of Montreal, CN 7233 & CN 227 are heading back light to Pointe St-Charles Yard.